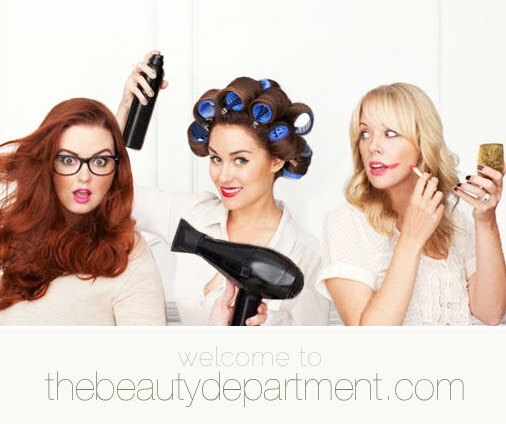 The Hills alumni Lauren Conrad has launched a new website along with her long time Make-Up artist, Amy Nadine & hairstylist, Kristin Ess. Before Lauren use to seek out help via fashion / beauty magazines which lead to unsuccessful attempts / information. “Growing up, I never really learned how to do my hair and makeup correctly and the results weren’t always great. Our goal with The Beauty Department is to provide girls and young women with a basic how-to of simplified versions of popular trends and styles that they can recreate themselves.” Lauren Conrad said in a release. They say that the website will be covering all kinds of hair + makeup how-to’s, nail trends, skin issues, tools, current obsessions & inspirations, as well as countless quick tips. - I'm quite excited to see what this website will bring to be honest. I've always liked Lauren's simple approach to fashion people who have watched her from Laguna Beach onto The Hills will have seen how she developed and found what works right for her. It's one of the reasons why she is very successful. sounds great,thanx for sharing am excited!!! Thanks for the head's up on this... I too have always liked Lauren and can't wait to see more posts! Looks cool. she needs to enable comments though. She isn't playing! I am proud of her!